Laura strives to bring the symphony's musicians and community together around important historical and artistic events, organizing special projects that leverage history to inspire orchestral music to speak more deeply and broadly to every day life. The 2018-19 season marks the Reno Phil’s 50th anniversary and I have chosen as a pinnacle project of the season to celebrate the birth of the city of Reno as well as that of the orchestra. We are commissioning a new symphonic work by Grammy-nominated composer Zhou Tian to commemorate the completion of the Transcontinental Railroad which is not coincidentally celebrating a major anniversary this year—150 years. It has been enormously gratifying to witness the enthusiasm, pride, creativity and investment of the Reno community around the celebration of an historic event so seminal to the birth of the city. Our collaborations will include partnerships with seven orchestras including the Utah Symphony and Chicago Youth Symphony, local and national historical organizations such as the Nevada Historical Society and the National Railroad Hall of Fame, plus a PBS television documentary on the project by KNPB—Arteffects. I am constantly on the lookout for new musical voices that speak to me about our world and who I think will excite my audiences. 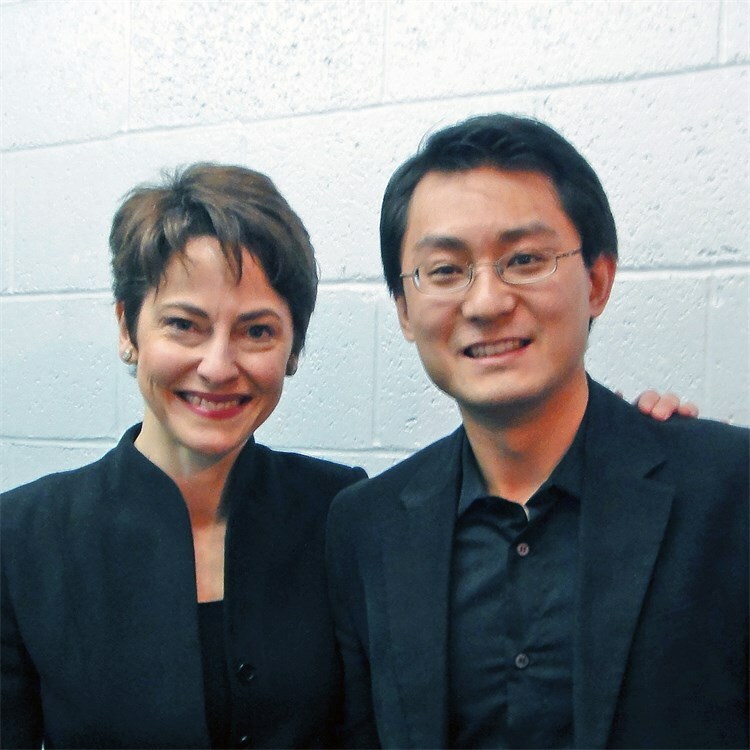 This season I have personally commissioned two up-and-coming composers to create new works for orchestra and partnered with other ensembles to bring their music to audiences across the nation. • Composer Carlos Simon is orchestrating his symphonic band piece Amen! for the Reno Philharmonic. It will premiere on January 12 & 13, 209 as part of the Reno Philharmonic's Classix Three: Unexpected Evolution concert set. Future performances will be undertaking by my co-commissioning to be announced soon. • On the same concert, Davidson Institute Fellow Ellis Hamilton, a jazz saxophonist and student at the Berklee College of Music, will premiere a new orchestral arrangement of his jazz tune "Possibilities" for orchestra and Time for Three. Click here for free scores; click here for audio recordings. Instructions from composer David Bugli. In collaboration with Carson City composer David Bugli, Laura and the Reno Philharmonic led a statewide effort to perform the Nevada state song—Home Means Nevada—by creating the first-ever orchestral arrangement and working with educators across the state on a collaborative live performance. Laura beat the New York Philharmonic and Cleveland Orchestra, by being the first to commission Reno native Sean Shepherd to write two pieces for his home town orchestra—Silvery Rills and the tone poem Desert Garden. Sean grew up in Reno and played in both the Reno Philharmonic's youth orchestra program and later in the professional group. His compositions paid homage to his home and home state in two deeply personal and dramatic compositions.